Chanel posted annual financial results this week for the first time in the company's history. We all know a Chanel handbag can cost more than $5,000. But now, for the first time in its century-long history, we know exactly how much money the luxury French fashion house makes. Chanel, a privately-held company, issued an earnings report that shows the company made nearly $10 billion in sales in 2017. The reason for the release of Chanel's financial information, typically a tightly held secret, is unknown. A spokesperson declined to comment. The earnings release might be an attempt by Chanel to shut down rumors that it may be acquired by another company. Chanel Chief Financial Officer Philippe Blondiaux said in a statement that Chanel is able to "remain independent" and "focus on the long term." Blondiaux, in a story published Thursday, also told the New York Times that Chanel decided to lift the veil on its financial secrets because the company "realized it was time to put the facts on the table as to exactly who we are: a $10 billion company with very strong financials, plus all the means and ammunition at our disposal to remain independent." Several trade publications reported on rumors of a possible takeover bid from rival LVMH (LVMHF) earlier this year. The Paris-based conglomerate owns high-end brands Louis Vuitton, Fendi, Céline, Givenchy and Marc Jacobs — just to name a few. It also recently purchased Christian Dior. Bernard Arnault, CEO of LVMH, has also dismissed the takeover rumors. He called them "fake news" in April, according to Women's Wear Daily. Chanel's financial report suggests the standalone brand is bringing in enough cash to rival any of the labels under LVMH's umbrella. It shows that Chanel brought in about $9.6 billion during 2017, marking an 11% increase from a year prior. Meantime, Louis Vuitton, a perennial best seller in the luxury fashion industry, brought in about $9.3 billion in sales last year, according to analyst estimates reported by Reuters. Other reports suggest Louis Vuitton brought in more than $10 billion. Chanel also announced this week that it's undergoing a major corporate restructuring for the first time since the 1950s. The goal is to simplify the Chanel brand by bringing all of its major subsidiaries, from fragrance to fashion, under one roof. 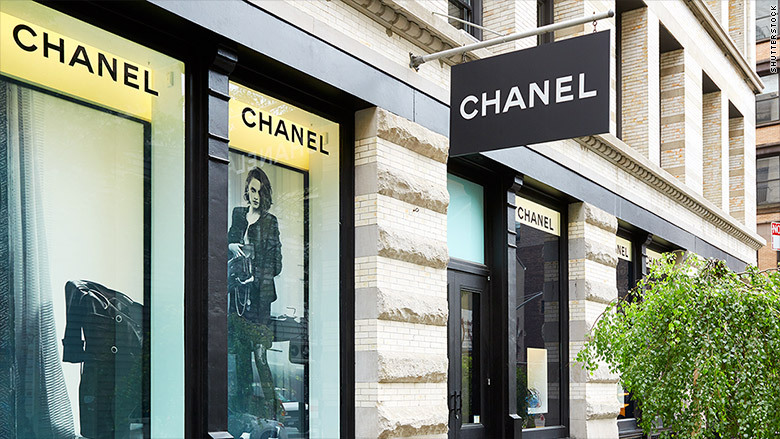 The consolidated company will go by the name Chanel Limited. Chanel's report also pointed to the "Gabrielle" line of fragrance and "Gabrielle" handbag as top sellers. The name is a nod to Gabrielle "Coco" Chanel, the socialite and fashion icon who established her namesake brand in 1910. The report also notes that its successes in clothing and handbags highlight the "mastery of creativity" of Karl Lagerfed, Chanel's creative director.